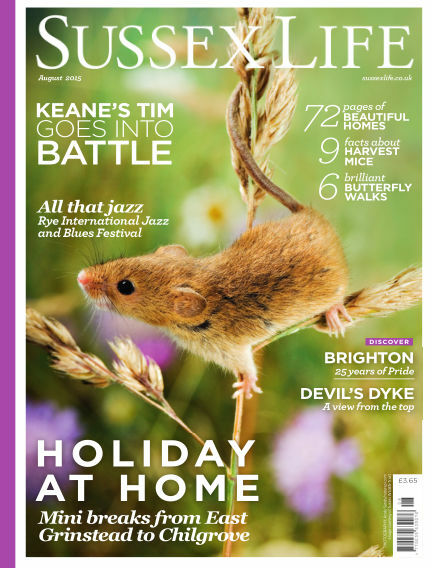 In this issue of Sussex Life : Holiday At Home: Mini breaks from East Grinstead to Chilgrove - All That Jazz: Rye International Jazz and Blues Festival - Keane's Tim goes into battle - Brighton: 25 years of Pride - Devil’s Dyke: A view from the top - 6 Brilliant butterfly walks - 72 Pages of beautiful homes. With Readly you can read Sussex Life (issue August 2015) and thousands of other magazines on your tablet and smartphone. Get access to all with just one subscription. New releases and back issues – all included.